ALL eyes will be on the Saints as they make the trip to Orkney this weekend in search of another win to add to their impressive winter run -- and it is the Macleod & MacCallum North Caledonian League champions who will stand in their way. 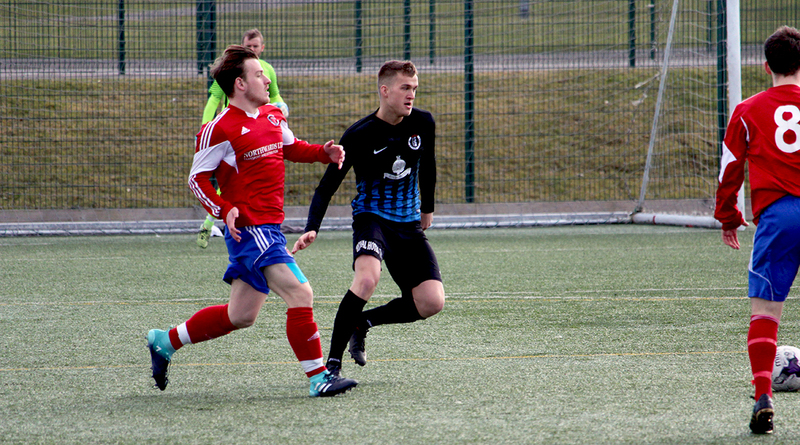 Few changes are expected to the St Duthus side who overcame league leaders Invergordon at Grant Park last weekend to make it six wins in a row. Bartek Sosnowski will be unavailable, while Justin Rogers also drops out of contention, having been released earlier this week. The sides last came together at the end of September last year for a league game that resulted in a close 3-2 win for Orkney at the Links. The match preceeded Saints' impressive unbeaten run, which now spans seven games since they turned their season around midway through October. In fact, since the teams' last meeting Saints have lost only once. Conversely, Orkney have picked up just three wins in their last six games. Adding to that, due to a number of postponements the Island side have yet to kick a ball in 2019 - and have not played a game since November 24th. The Orcadians will have on eye on a win this weekend as they look to restart their campaign -- and the other on the league table - knowing that with 8 games left to play, a second successive league championship win is in their hands. The "on-paper" favourites for this one are of course the reigning champions Orkney, but given all of the factors to consider in the run up to this one - the Saints most certainly will not be leaving anything on the Mainland when they head across the Pentland Firth to do battle. Manager Stuart Ross knows his squad are ready for the challenge. "We love our trips to Orkney. The games are always close and there's never much in it. It's all the better when you're on a great run like we are on just now. There's a real sense of everyone pulling in the same direction. The boys are putting the effort in on the training ground and in games, and it's really showing. We need to keep those standards up going into a tough game against the Champions." "Orkney are a few games behind everyone else following the winter break, so I'm sure they'll be looking to this game as a way to kick start their season. For us, it's all about continuing the form we're in just now and putting more points on the board to push up the league." The game kicks off at 12.30 on Saturday at Kirkwall Grammar School 3G. Highlights courtesy of Picture House, Thurso.